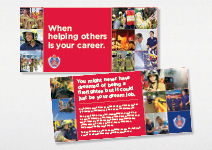 Fire & Rescue NSW’s purpose is to enhance community safety, quality of life and confidence by minimising the impact of hazards and emergency incidents on the people, environment and economy of New South Wales. As one of the world’s largest urban fire and rescue services, we manage fire emergencies in NSW’s major cities and towns. They respond to rescues, hazardous materials incidents and possible terrorism activities across the State. Working with other government agencies to minimise the impact of bushfires, storms, floods, landslides, building collapses, motor vehicle accidents and other emergencies. Also running prevention and preparedness programs to prevent these emergencies and reduce their impact on the community. 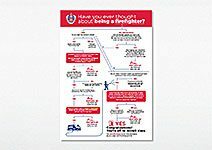 NSW Fire & Rescue chose Liquid Communications to developed a info graphic recruitment campaign for recruiting more firefighters for a worthy cause. 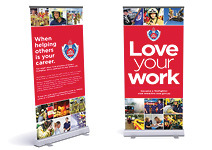 We hope to continue to help NSW Fire & Rescue with all their marketing and advertising needs and in the coming years.